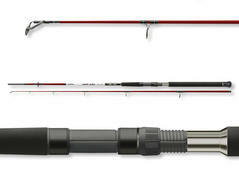 The perfect rod for sea trout fishing at the German Baltic Sea and in Scandinavia. 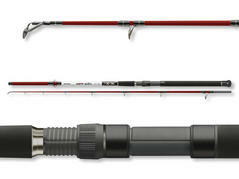 Equipped with a semiparabolic action this rod fully loads during the cast and accomplishes long casting distances. 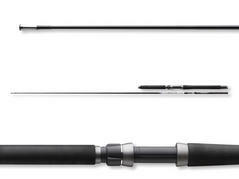 For reduced unhooking – also at the use of braided lines – the rod features a special soft tip section, which absorbs also fast flights easily. 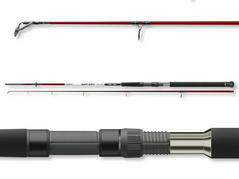 Super-lightweight and modern sea rods with fast action and sensitive tip for the fishing with shad and small jigs. Also as light jigging rod the Jig & Pilk fully performs. Equipped with a very sensitive tip the Seacor BAT Pilk exactly displays, what your jig at the other side of the line currently is doing. On the other hand this rod offers also enough backbone to control even large specimen during the whole fight. 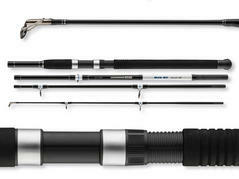 The singularity of these rods derives from the combination of superior power reserves with a somewhat softer tip, which enables to keep control also during the fight with large specimen and reduces losses, especially when braided lines are used. 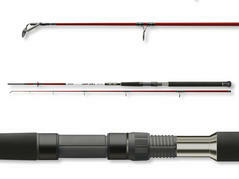 Perfect for fishing at at the Baltic and North Sea as well as at fishing in Norway and Iceland. 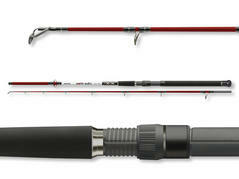 Strong fjord rods with special emphasis on lure control and perfect fighting capabilities. The distinct tip action enables optimal bite detection while the powerful backbone tires also large specimen quickly. Can be combined with a multiplier or a large spinning reel. Developed especially for the hard fishing conditions in the Norwegian fjords. The guide array cares for an optimal power development of the rod, an ideal line guiding and a harmonic power transmission, regardless if combined with a multiplier or large spinning reel. 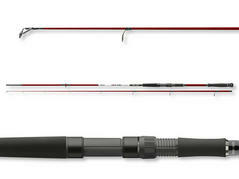 Jigging rod with fast tip action, which is beneficial at classic jigging but also when fishing with shads, since the rod enables an immediate response from the other end of the line. 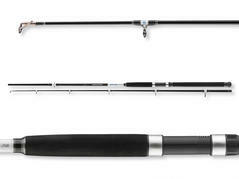 4-piece travel jigging rod with fast tip action, which is very pleasant at classic jigging as well as with fishing with shads, since the rod enables an immediate response from the other end of the line. Hard to believe that this rod is really divided into 4 parts. 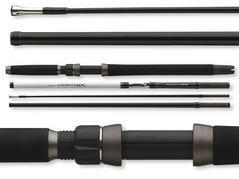 Based on the Halibut HDC interline rods, which have gained a remarkable reputation among Norway anglers within only one year, we designed this 4-sectioned interline travel rod, which is intended for fishing for halibut, ling, cod and wolffish. If something big is lying in wait for your lure in the depth of Norway's fjords, you are perfectly armed with a Halibut HDC Interline. These rods are uncompromisingly strong and resist powerfully, when a big sea predator trys to escape. They are made for fighting by hook or crook.